Super Bowl Sunday - Ashkephardic Style! You are here: Home / Tori's Kitchen / Recipe Roundups / Super Bowl Sunday – Ashkephardic Style! 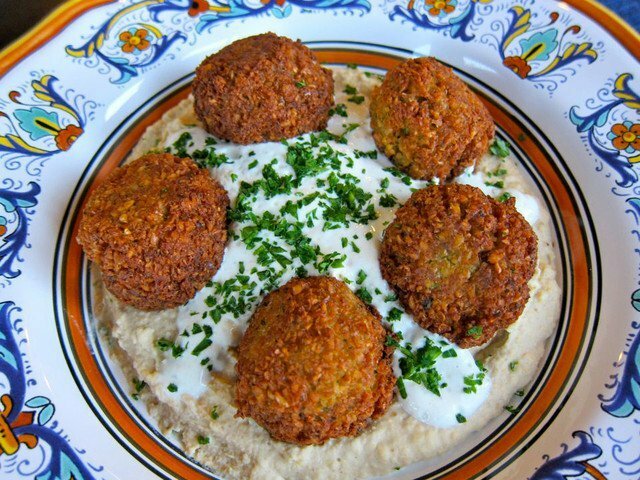 Super Bowl Sunday – Ashkephardic Style! My family is a little NFL-crazy, so the week before Super Bowl Sunday is filled with anticipation. On game day, we invite over family and friends so we can all watch (and eat!) together. While most Super Bowl food spreads are pretty decadent, I like to create a lighter spread in my home. The goal is to keep things healthy without sacrificing on flavor. After all, the Super Bowl is a celebration that deserves equally celebratory food! When putting together my menu for a kosher Superbowl Sunday, I usually pick foods that are communal; meaning, we can easily gather around a central plate and serve ourselves on smaller plates as we watch the game. Ideally the food should taste amazing, but not pack on the pounds. It’s a good idea to have some nosh-worthy snacks on the table to nibble as the game progresses. Also, you want dishes that don’t keep you stuck in the kitchen for hours. The goal is to create a satisfying meal using simple finger foods that are tasty and filling, while not packing on the pounds the way chips, dip, and kosher hotdogs do. Here are a few tasty recipes for an Ashkephardic Superbowl spread that you (and your waistline) can feel good about! 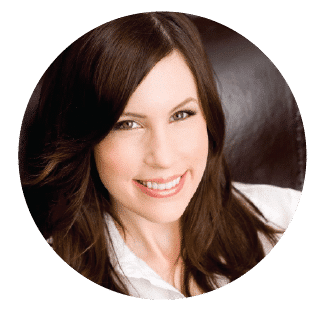 For more healthy ideas, check out this article I was recently interviewed for in the Jewish Exponent: A Super Bowl of Good Edibles. 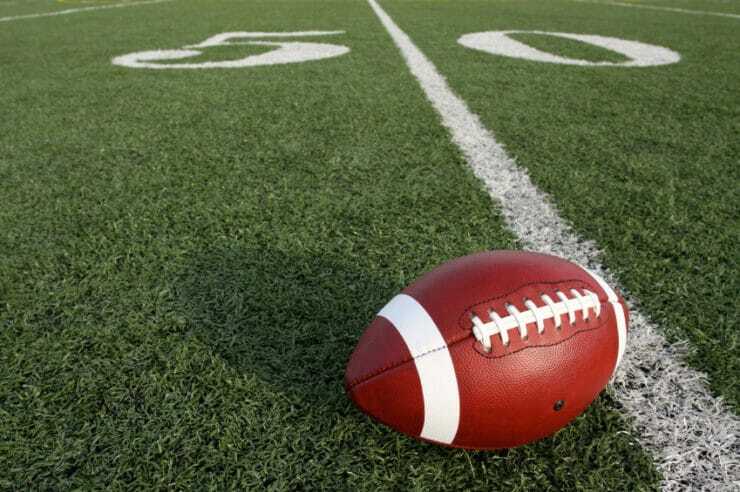 When planning a Super Bowl spread, snack-type nibbles are always expected—but typical snack foods like chips, creamy dips, guacamole and peanuts are loaded with fat, carbs and calories. Fresh hummus is a nutritious, gluten-free, vegan alternative that happens to be incredibly delicious. 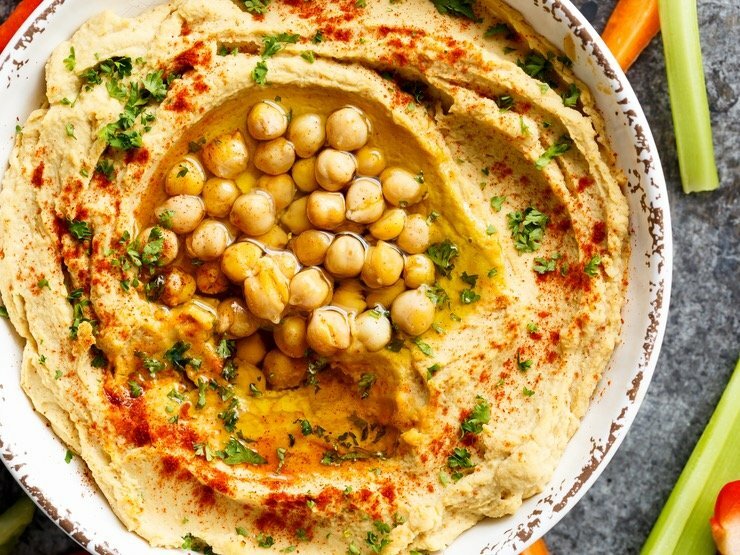 I like adding roasted garlic to my hummus instead of plain garlic—the roasting adds depth to the flavor and just a hint of smokiness that I find delicious. Serve with vegetable crudités like carrots, celery, cauliflower and cucumber slices to keep the dish low carb. If carbs aren’t a concern, serve with warm whole wheat pita bread for extra fiber. While we all love to nosh on fried foods like french fries and potato chips, these oily carb-laden treats don’t have much nutritional value. Instead, why not try falafel? Made from chickpeas, parsley and spices, falafel has more protein and fiber than potato chips, while being every bit as tasty (even more so, in my humble opinion!). 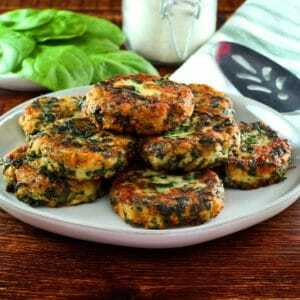 My recipe is fried in grapeseed oil, which is a heart healthy, cholesterol-free choice. 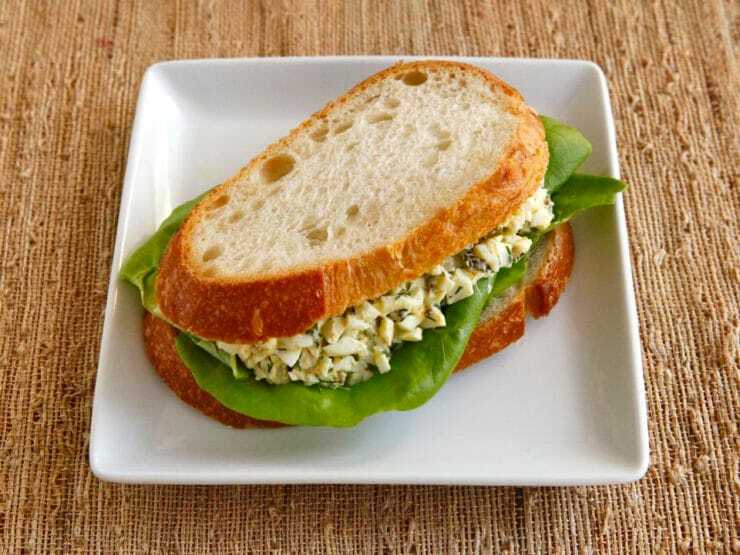 Egg salad is an Ashkenazi Jewish favorite, but the mayonnaise and all of those egg yolks makes for a rich, unhealthy sandwich spread. My recipe eliminates half of the egg yolks to reduce calories and cholesterol. I’ve also added fresh dill for flavor and dill pickles for saltiness and crunch. Use an egg-free mayo like Vegannaise to reduce cholesterol even further. It can also be made gluten free by using a certified GF mustard and mayonnaise. Try serving it over lettuce or on slices of sourdough. Yum! This popular recipe was submitted to my most recent Kosher Recipe contest by blog reader Susan Fedrow. 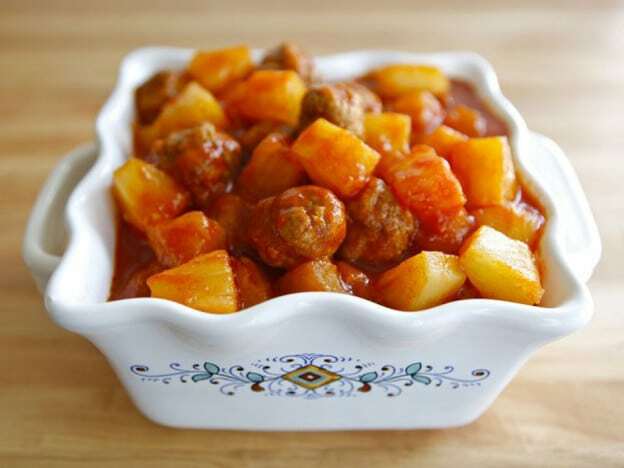 The flavor of these tangy mini-meatballs is somewhat reminiscent of Ashkenazi sweet and sour stuffed cabbage, without the cabbage. They are super easy to make and can easily be “lightened up” by using ground turkey or chicken meat, which has less fat and cholesterol than beef. Any brand of chili sauce will work; Heinz makes a kosher-certified chili sauce that works particularly well. Serve in a bowl or heated chafing dish with toothpicks so guests can nibble on the meatballs and pineapples as they watch the game! 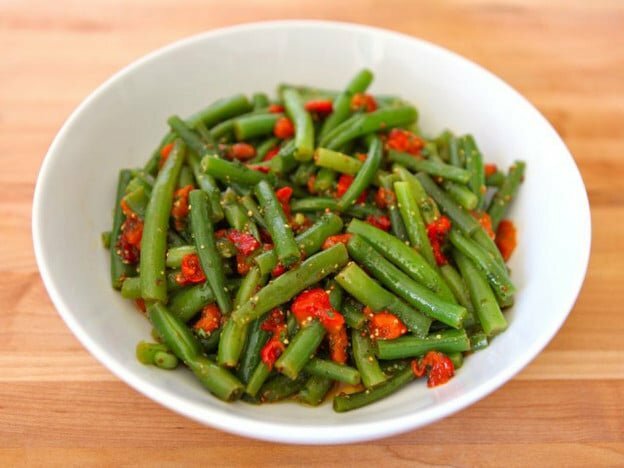 In this recipe, I’ve combined a roasted red pepper with steamed green beans and whole grain mustard to create a healthy, flavorful salad. I love roasted bell peppers– their smoky flavor gives a beautiful depth to the flavor of this salad. This salad is light and healthy, and the flavor is addicting. It’s also Gluten Free if you use a certified GF vinegar and mustard (Marukan rice vinegar is certified GF and kosher/pareve). One of my favorites! 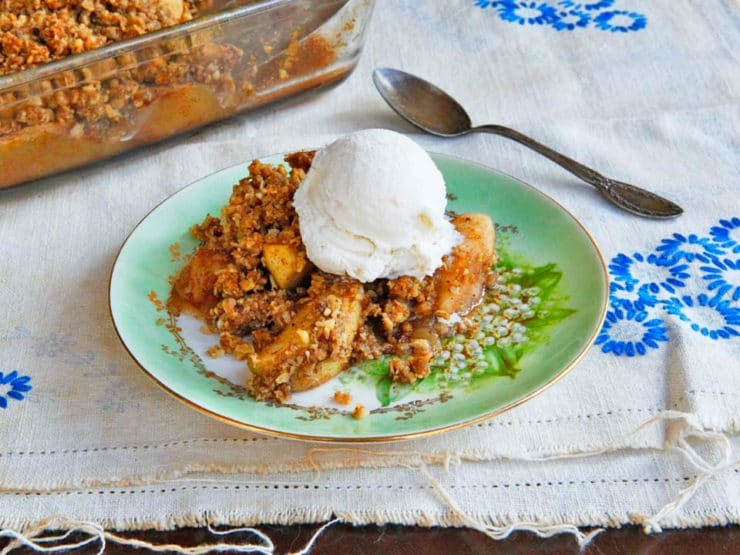 Sure, it’s winter now, but that doesn’t mean my Old Fashioned Oat Nut Apple Crisp has gone out of season! This cozy cold-weather dessert, baked with sweetly spiced apples, can be made pareve (to serve with a kosher meat meal) by substituting non-dairy margarine and topping with a vegan pareve ice cream like Tofutti or Rice Dream. Rolled oats provide dietary fiber and help to lower cholesterol. Use stevia, Splenda, or your favorite sweetener in place of granulated sugar to lighten up this dish. Bete’avon! Wow! I’m coming to your Superbowl party! LOL, Good Shabbos and thank you for the great as always ideas and recipes! Wow – I love ALL these food choices – it would be so hard to choose which one, I’d make ’em all. 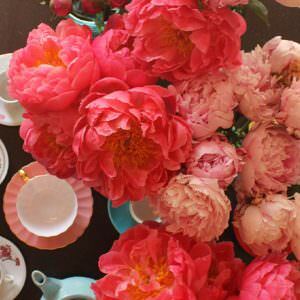 I Love learning the foods, culture, history of your pages….I am saving these recipes for future use.. Thank you soooo much for the recipe ideas, I was wondering what to make, now I know! Good shabbos to you and your family. mmmmm it all looks yummy. (what do u call a non-jewish housewife? )Even I would fix most of this if I was having a party. Though I have tried falafel from a local restaurant and was not impressed with the flavor. Thanks for the recipes.Have fun!! !